The Wind Will Carry Us offers more questions than answers, yet it still manages to be a wholly satisfying cinematic experience. Near the beginning of Abbas Kiarostami’s 1999 classic The Wind Will Carry Us, the main character, called the Engineer (Behzad Dorani), quotes a poem by Sohrab Sepehri in order to describe his destination: “Near the tree is a wooded lane/ greener than the dreams of God.” Almost immediately after, the Engineer declares that they are searching for a “tall, single tree,” which serves as a landmark for finding the village they are headed to. Later, different lines from the same poem are spoken as an exchange between the Engineer and his guide, a local boy named Farzad: “When you’re fated to be black/Even holy water cannot whiten you,” a reference to the village they are in, which is called Black Valley even though “it’s a lovely white village,” presumably referencing the white buildings and streets. 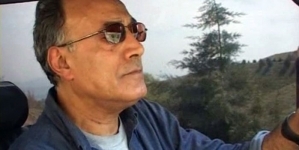 The film’s title was also taken from a poem by Forough Farrokhzad, and as the film itself wanders about, referencing other Iranian poetry as well as local legends and lore along the way, it becomes clear that Kiarostami’s aim with The Wind Will Carry Us is to create poetry on the screen. 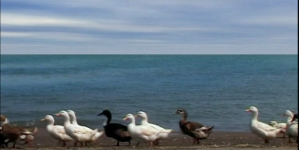 Kiarostami uses poetic devices to great effect in his film, with repetition being the most obvious. Several key scenes repeat visually, such as the Engineer’s vehicle winding along the country roads outside of Black Valley, Farzad speaking to him through the passenger window and from below his balcony and the Engineer standing outside of three doors on the outside of the home he is staying in. Like good poetry, unrelated images and phrases are linked together in profound, unexpected unions. The skill at play here isn’t limited to poetic metaphor. One of the hallmarks of Kiarostami’s filmmaking is his ability to use the full potential of the medium. The camera in The Wind Will Carry Us turns the audience into an unacknowledged observer, like an omniscient narrator of a Victorian novel. The entire setting is alive. The film captures not only the central story and the characters but also the world happening around them. Kiarostami’s wide shots are filled with life and activity in every corner, and animal sounds and snippets of other conversations are captured along the way. Dialogue doesn’t simply follow the progression of plot; it meanders in the same way real conversation does. The plot is darkly funny. A group of film “engineers” has come to a rural village to film a very old woman’s death for a documentary, but though she dangles on the edge of life, she simply will not die. While this frustrates the engineers (one of whom is our protagonist; the other two are not seen, only heard), life in the village continues on around them, and their lives in the city begin to call them back. The Engineer in particular has been lured into Black Valley, yet he is never really a part of it; Kiarostami keeps him separate in words and appearance. It’s no surprise that this is considered to be one of Kiarostami’s great films and considered by some to be one of the finer films in all of cinema. 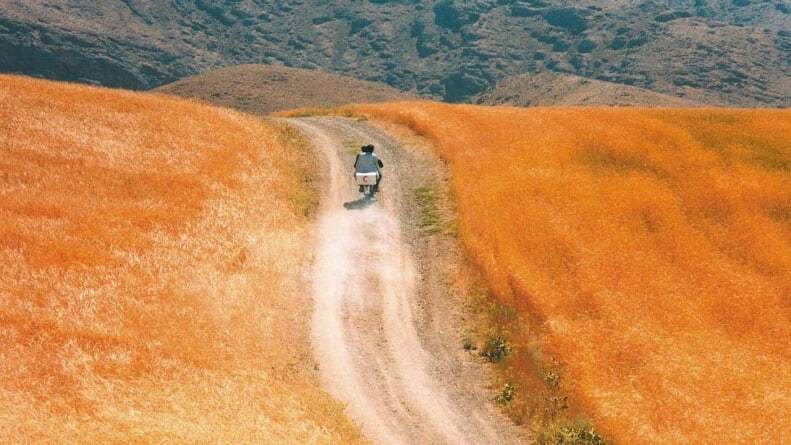 Like much of Kiarostami’s work, it examines the intricacies of what initially appear to be simple lives. It examines the humor in tragedy. It uses art as an inspiration for more art. It also calls into question the ethics of observation and of interaction while simultaneously inviting audiences to observe and interact. Watching The Wind Will Carry Us offers more questions than answers, yet it still manages to be a wholly satisfying cinematic experience.